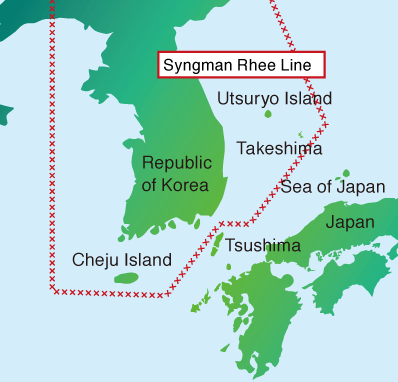 Syngman Rhee Line: a boundary established by South Korean President Syngman Rhee to demarcate the South Korean maritime border, a line disputed by the Japanese government and one that Japanese fishing boats would persistently cross. 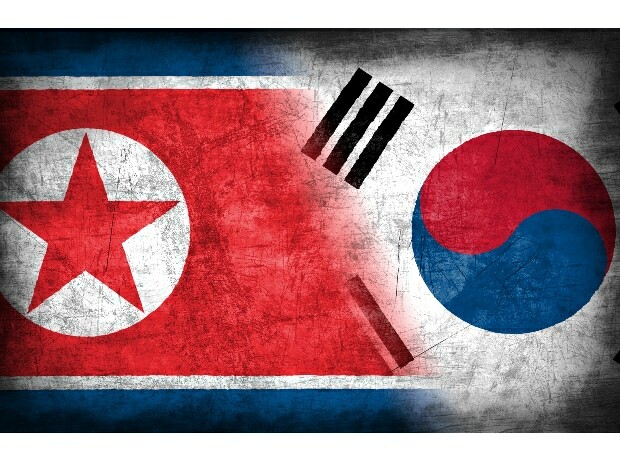 Korea and Japan has history. Over 1500 years of cultural exchange, trade and military conflict has shaped an affinity and a rivalry that goes from love to hate and back. In the days before the start of the 1964 Tokyo Olympics, before they would face off in men’s and women’s volleyball, the two nations were facing off in the high seas. On Monday, October 7, 1964, according to The Japan Times, a Japanese fishing boat was stopped by a South Korean patrol ship. The Korean authorities were attempting to stop the Japanese boat from fishing in what South Korea claimed were their territorial waters. The seven Japanese fishermen were escorted onto (taken prisoner by?) the South Korean patrol boat. Apparently the seas were rough, and the two boats collided, creating damage to the fishing boat. Eventually, the 77.5 ton fishing boat, named No. 58 Hoyo Maru, sank. The Korean boat also suffered some damage and apparently a Korean coast guard was sent to do repair work, according to The Yomiuri. The man fell into the water, but was fortunately picked up by another Japanese fishing boat close by. A second Korean coast guard was in a boat looking for the first one and found him being cared for (captured?) on the Japanese boat, and boarded (was taken prisoner by?) the Japanese boat. 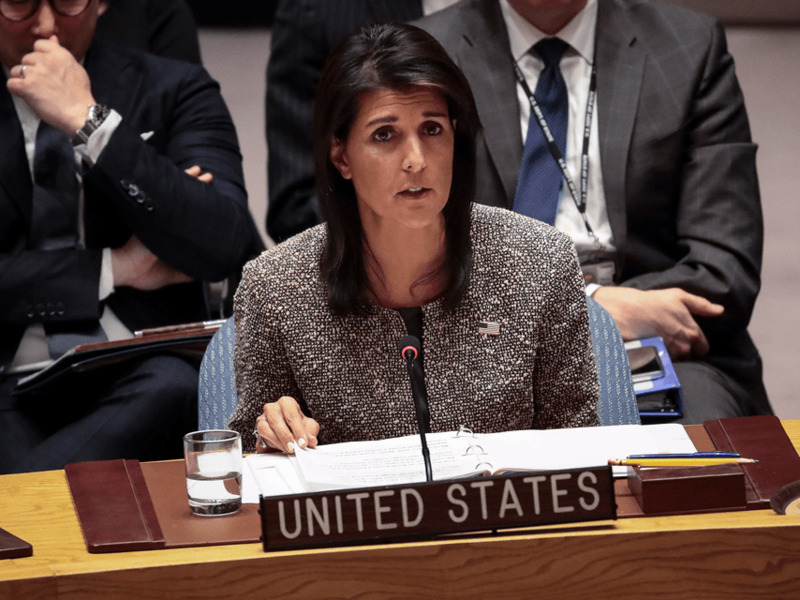 Which set up the “prisoner exchange”. When the Japanese realized that the Koreans were holding 7 Japanese fishermen at the same time the Koreans realized that the Japanese were holding 2 Korean coast guard personnel, they probably thought they had spent enough time in the tense choppy waters of the Pacific Ocean. A trade was made and all parties went to their respective homes. But this maritime battle would continue for another year, until the approval of the Japan-Korea Fishery Agreement in 1965. Until that time, nearly 4,000 Japanese had been arrested and over 300 Japanese boats by South Korean authorities. Additionally 44 people had died in these fishing conflicts. The Japanese men’s and women’s volleyball teams handily defeated their South Korean opponents, but you can bet the fans and the teams in those matches were a tad more pumped up to sink the players on the other side of the net. South Korea’s Archery Team for the Rio Olympics Korea’s team comprises recurve men Kim Woojin, Ku Bonchan and Lee Seungyun and recurve women Choi Misun, Ki Bo Bae and Chang Hye Jin. Nothing like an Olympic Games to get a nation to focus. And when South Korea was awarded the 1988 Summer Olympic Games, the National Olympic Committee and Korean Government drew a bullseye on archery. Over the past 7 Summer Games, South Korea has won 18 of 28 possible gold medals, whether individual or team, men or women. In fact, the South Korean women’s team has won gold at every Olympics since 1988. This is not luck. This is a significant investment in identifying archery talent early, and developing the strongest archers so that the pool competing for international competition is deep. This is how the BBC explained the South Korean archery talent machinery. Koreans are introduced to archery at primary school, with talented children receiving up to two hours training a day. The less able are then weeded out at middle school, high school and university level until the very best are hired as adults by the company teams run by organisations such as car manufacturer Hyundai. Approximately 30% of the Korean Archery Association’s (KAA) budget comes from the country’s Olympic Committee, but the main financial strength of the system is from these 33 company teams who provide a wage and a pension to archers employed solely to compete for them. Here’s how a former South Korean archer explains the intense competition that yields world champions. With so many top class archers around (back in 2004, a non-Korean archer who was ranked 5th in the world had the same competition record as a Korean archer placed 90th in the country), no one is guaranteed a victory or a spot in the national team. Many former gold medalists have been struck off a year or so later because others (and some of them newbies) have surpassed them in ranks. It’s a sport where seniority really doesn’t matter at the end of the day, allowing for true competitive spirit to flourish. Apparently, the sport of archery is expensive – a single arrow costing around $40. And because archery in South Korea is so well funded, their archers can spend all their time sharpening their craft. Again, the former archer describes this world-class level of dedication. The sport is also very well-funded, and athletes really get to focus on what they do best. This means that they practise like machines. The 2012 London Olympics women’s team said that they shoot 500 arrows a day. As far as I know, Ki shoots with a 40 pound bow. Obviously I’m a bad point of comparison, but I am pretty much done for the day after shooting a double Portsmouth (120 arrows) with a 34 pound bow. As it turns out, only one person from the 2012 London Games will be returning to the 2016 Games, Ki Bo-bae, who won gold in the women’s individual and women’s team competitions. The rest, you can bet are the best of the Korean up and comers. Any sure bets for the Rio Olympics? South Korean archery is looking like a bullseye.